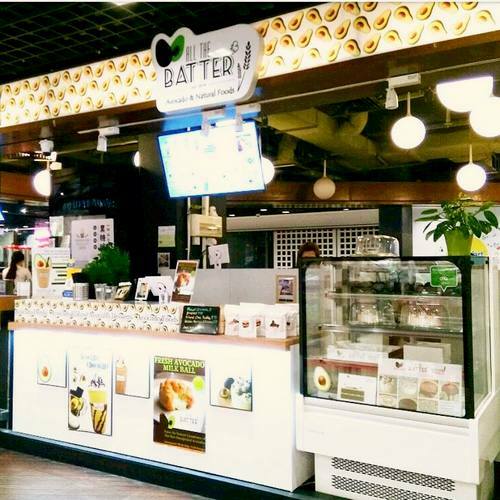 All The Batter has two shops in Singapore, one at Anchorpoint shopping centre (370 Alexandra Road) and another within Adelphi Park (17 Jasmine Road). Established in 2014, All The Batter – Avocado & Natural Foods specializes in avocado drinks, cakes, catering, and natural foods. Popular choices on the shops’ menu include Avocado Chocolate Ganache, Matcha Avocado Cake, Avocado Rose Ice Cream Waffles, Avocado Gula Melaka Cake, and Strawberry Shortcake. The official All The Batter Facebook page is available at www.facebook.com/AllTheBatter/. You can also follow the official All The Batter Instagram account, which in turn is located at www.instagram.com/allthebatter/.